It is June 1993 and I’m halfway through a roadtrip that will kill a friendship. I’ve fled the campground for the beach, trudging through the sandy tunnel under the highway with a notebook and a copy of An Atlas of the Difficult World. Because I can’t imagine spending fifteen dollars to tour Hearst Castle, my roadtrip companion has gone off to do it herself, in a huff. I take my chair, my notebook, my Adrienne Rich volumes and head out to the beach, free for two or three hours to read and write. The trip is going very badly, and I can’t quite articulate why, even to myself. I am 29 years old, in the summer between a masters and Phd program. I’ve started a novel, and been admitted to a PhD program where I hope I’ll have time to finish it. I’m terrified of taking on more debt but stopping now means I’ll have to get a “real” job to pay off the MA I’ve just finished, and if I do that I doubt I’ll finish my novel. I’m betting on myself in a way that seems outrageous. I’m broke, but I’ve always been broke, so I’m used to it, but my friend is not, and although I told her before we started that I didn’t have any money, she seems startled by how little money no money actually is. My friend is a woman I’d worked with back east. We’d spent a summer guiding rafts and living in a community of hippie boaters, but in the intervening years she’s married and has put her adventurous years behind her. I’m a mother now, she keeps telling me, as if it explains everything, as if it justifies every convention. Her husband comes from one of those families with enough money that she doesn’t have to worry about houses or schools or replacing the expensive bike that was stolen at the beginning of our trip. She’s giddy with the idea that she’s left her two small boys with their perfectly competent father, has taken the mommy-van, is on a road trip with me, her “funky” single friend. She seems to think we’re Thelma and Louise. However I have disappointed her to the extent that she’s spent the past few days accusing me of not being married, of not having kids, out of selfishness. It’s the same fight I’ve been having with my mother for several years. My girlfriend is angry that I don’t care about Hearst Castle, or about gift shops. She won’t let me drive, claims she gets carsick on the curves, complains that there aren’t enough guardrails. Then she complains about driving. The trip was a mistake, but I still won’t spend fifteen bucks on Hearst Castle, not even to keep the peace, and frankly all I want at this point is a couple of hours to myself. And so I’ve taken Adrienne Rich with me out to the beach that afternoon, looking to her as always, to reassure me that being a woman does not mean having to get married. That not being married does not mean I’m a failure. That children are not the entire point of a woman’s life and that writing is not self-indulgence. That it is real work. The first book of poetry I ever bought for myself was A Wild Patience Has Taken Me This Far. I was sixteen, a senior in high school. I remember crouching on my heels to read the poetry shelf in the Lake Forest Bookshop. It was near the floor. I remember the pebbly taupe cover, those thrilling words. A wild patience. I come from a family of ruined women. Toxic marriages, bad divorces, alcohol and cigarettes and depression. You kids go outside. It was clear that we ruined our mothers lives. They were stuck with us when the unreliable husbands went missing. There were whispers of bedroom humiliations, accusations of mental illness, and always the clink of ice cubes in glasses, the smell of cigarettes. We were fallen gentry, living amid the debris of former glory — portraits of ancestors on the walls of cheap rentals, scattered bits of old silver, a Chinese screen, a good chair. The expectations were those of a class to which we no longer financially belonged. Marry early, marry well, start having kids two years apart. Buy a nice house, buy the right clothes, join the club, play tennis. But I ran off, guided rafts in the southeast, lived in a shack called “the Low Post,” then went west, skiied and hiked and worked odd jobs. Even graduate school was not a triumph — I borrowed money for degrees in creative writing. It wasn’t law school. How was I supposed to restore us with such foolishness? Through the long fight to get clear of the expectations that as “the smart one” I’d some how make it up to them, that I’d somehow achieve the marriage and family and financial success that eluded all of them, it was Adrienne Rich and Doris Lessing who sustained me. Women my mother’s age. Women who fought their own ways clear, who never wavered in the belief that the interior life had value. That day on the beach I was reading for my life. 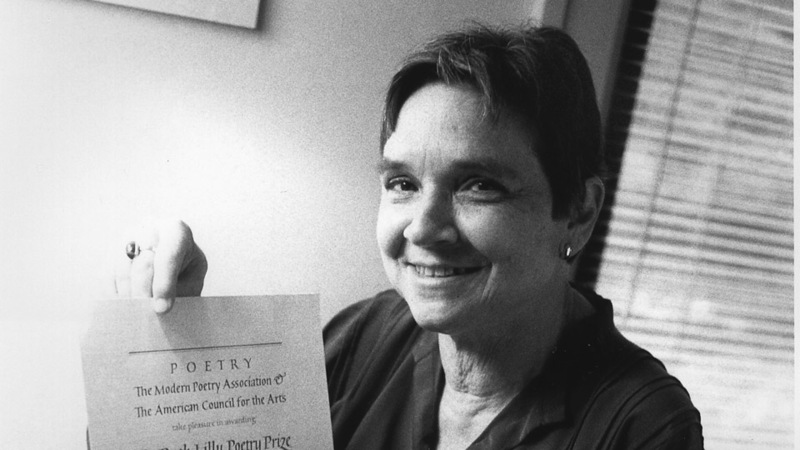 And as in all those instances where I turned to her, Adrienne Rich’s work was there, shining with the fierce conviction that our lives were what we wanted them to be. Adrienne Rich came to my rescue again that day on the beach at Cambria. I knew she was a few miles north of that beach, an actual woman in an actual California. In a little house like the one I imagined for myself. With a desk. Where she was writing. I knew that she had done it, had broken free of the story she’d been told about her life. And just as it had years earlier, when I’d found that first volume on the bottom shelf of my hometown bookstore, Rich’s work once again provided the essential handhold up and out of a life I didn’t want, a life I knew would ruin me. If there is an afterlife, I hope she has some idea of what she meant to us, how crucial she was. I hope that wherever she might be that she knows how internet has been abuzz with tributes these past few days, knows that she knocked the pope off the front page of the New York Times site, knows that her death has been an event. That despite the current regressive war on women, that what she stood for has become ordinary in the best way. She already saved my life, that day on the beach, when her work got me through my doubts, reassured me that taking a risk on my own words, my own inner life, was not selfish, but the opposite, the thing we were put here to do. She saved all of our lives. With words. With her selfish, glorious, fierce words. Charlotte McGuinn Freeman is the author of Place Last Seen. She lives in Livingston, Montana where writes about food, gardening, dogs and wilderness at Livingsmallblog.com. In recent years she’s been published in Big Sky Journal, Culinate.com, Bookslut and The Best Food Writing of 2010.